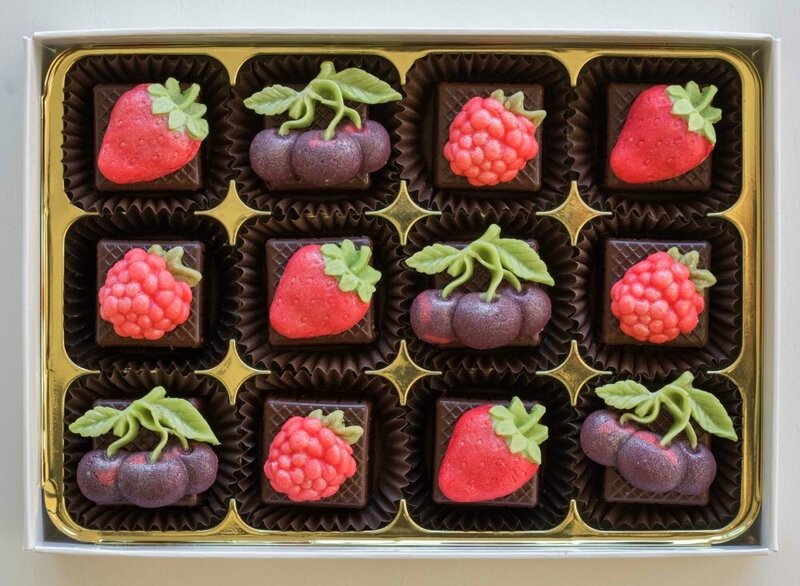 These pretty chocolates are filled with strawberry, raspberry and black cherry flavours. 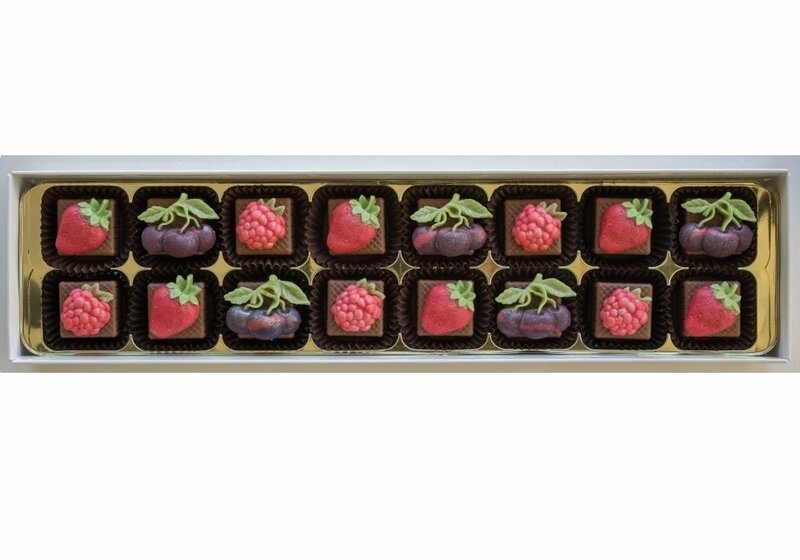 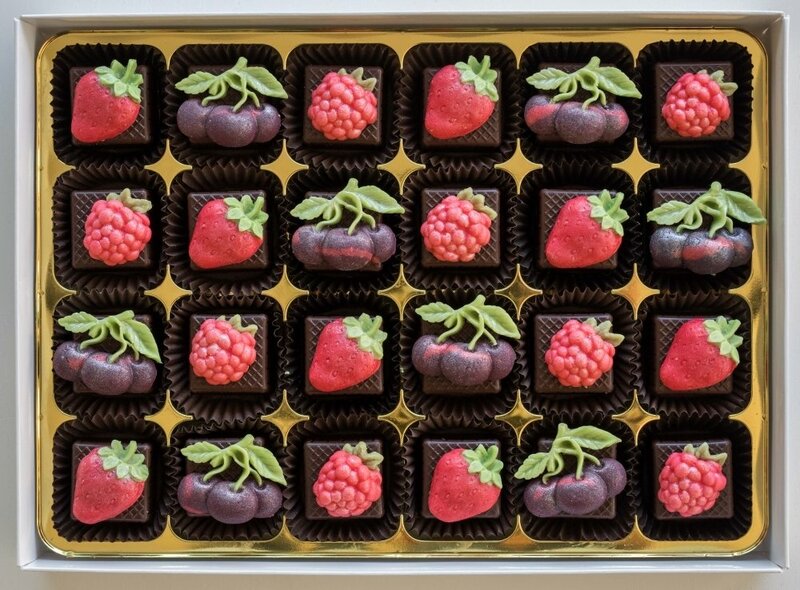 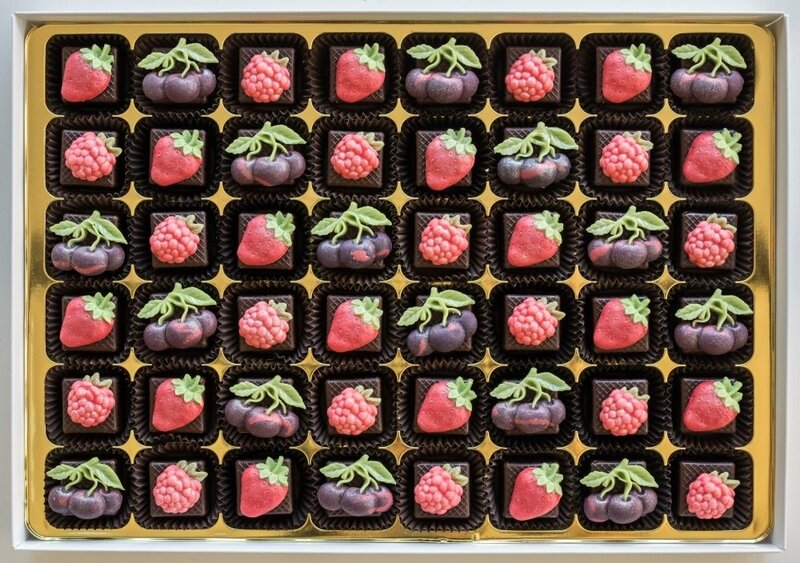 The tastes of summer in a box of chocolates - who could resist! 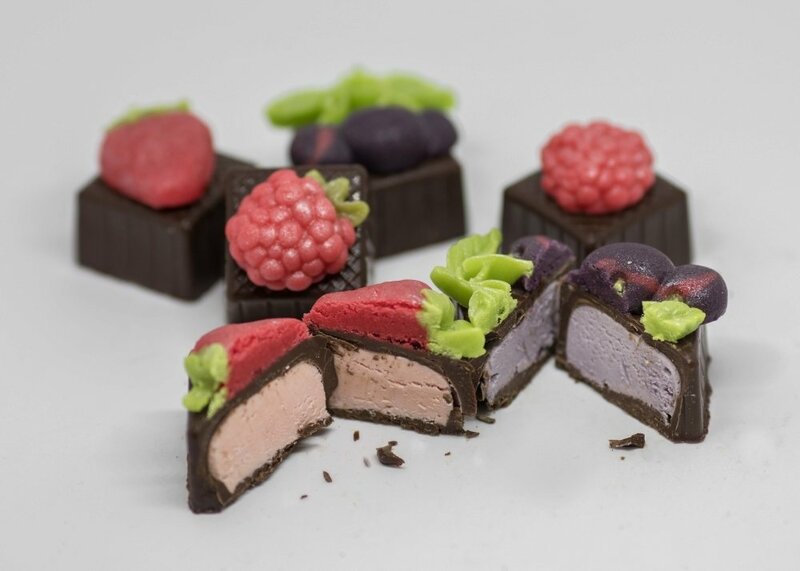 Available with our silky smooth fondant style filling, or marzipan, both choices flavoured with the delicious tastes of strawberries, raspberries and black cherries.